Popular singer Lily Allen was surprised when she was treated to a birthday celebration by her record label, Parlophone on Saturday 2nd May. Lily arrived at Delta Force Paintball North Bristol, with a challenging day ahead as she prepared to take on friends and family during a day full of fun and adventure amongst the amazing themed game zones on offer there. 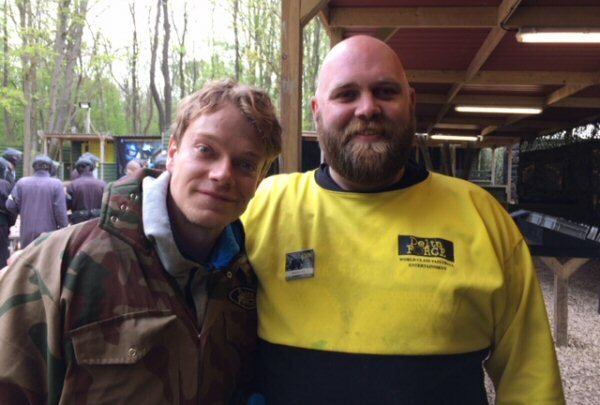 Joining her on the day was her also famous brother, Alfie Allen, who stars as Theo Grayjoy in the popular series Game of Thrones, and also her father, actor and musician Keith Allen. 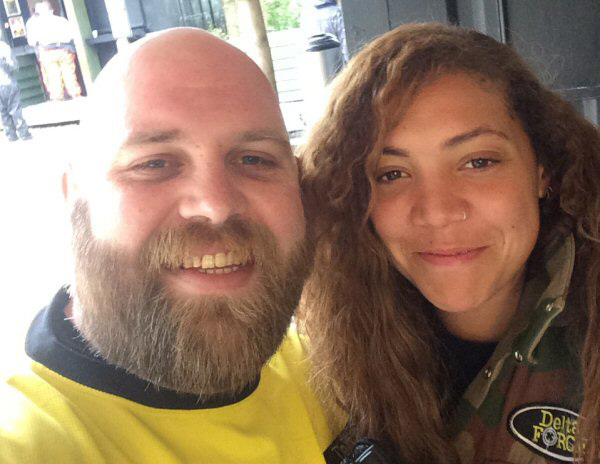 In addition to the Allen clan, Lily took to the battlefield alongside her best friend Miquita Oliver, well known Radio 1 DJ and T4 presenter. Sporting a colourful hairdo for the occasion, Lily Allen acted like a pro as she blasted her way through the challenges set for her, dodging flying paint balls in her path to victory. Marshals at the North Bristol Paintball Centre commented on how much Lily and her group enjoyed the day, despite Lily being shot point blank by her manager (by mistake of course). Thankfully, the body armour Delta Force Paintball supplies all players did it’s job. The group enjoyed a full day of paintball and even took time out to take some happy shots with the marshals who looked after Lily’s group for the day. Delta Force Paintball staff were pleased to help make Lily’s 30th birthday celebrations go off with a bang and we look forward to hosting her group again in the future. 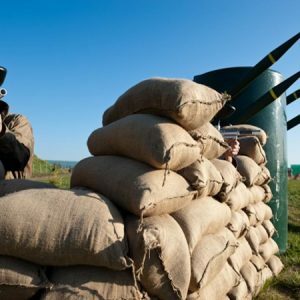 Paintball events are ideal for fun days out with friends and family for birthday celebrations, as well as corporate events. Taking revenge on your boss without any repercussions as you take aim, armed with the latest semi-automatic paintball gun, and firing under the cover of the nearest tank or bunker. To arrange a birthday bash, corporate day or that special event, contact our 24 hour hot line today on 1300 850 744 and arrange a day to be remembered for many years to come! 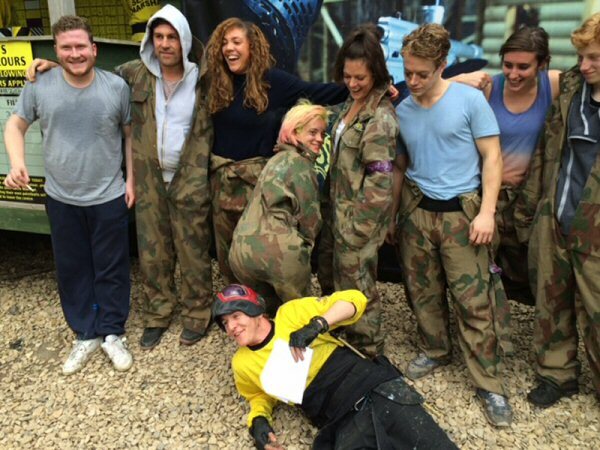 Our friendly Event Coordinators are available 24/7 to help you get your day of paintball organised. 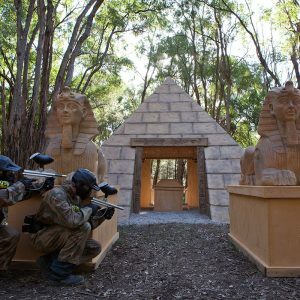 We can promise you an unforgettable day of paintball action, just book now!